Not quite as big news as yesterday, but certainly continuing a trend. 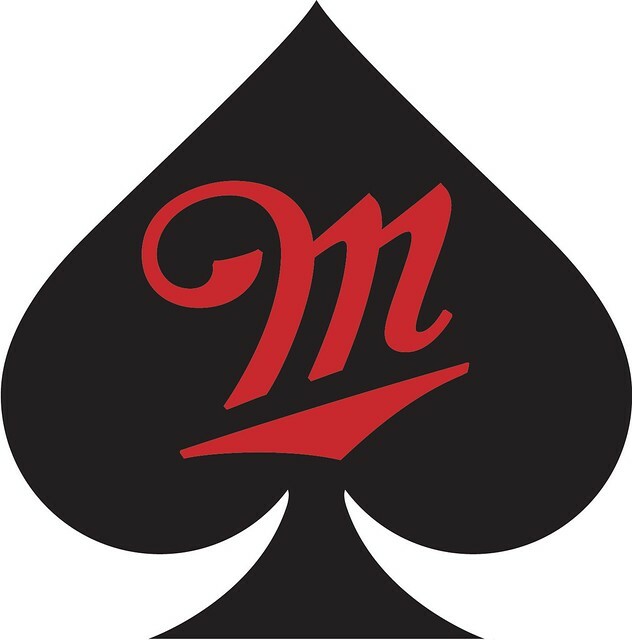 This Morning, MillerCoors announced that Saint Archer Brewing of San Diego, California will be joining their craft division, Tenth and Blake, as they acquire a majority interest in the small brewery. 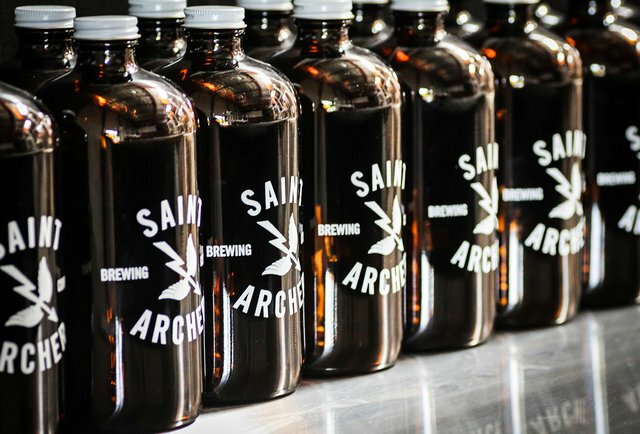 Tenth and Blake, the craft and import division of MillerCoors, announced today an agreement to acquire a majority interest in Saint Archer Brewing Company. 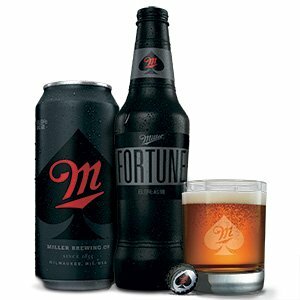 Okay, this is my third post today about Miller Fortune, the new “bourbon-like lager” from MillerCoors meant to address their loss of market share to distilled spirits. I’ll reserve judgment on the beer itself until my sample arrives and also until after it’s had a chance in the marketplace. Besides, it’s already been well-covered by Beverage Daily, Bloomberg, Business Insider and Time Magazine. But there’s certainly some oddities in the way they’re presenting it, whether by the mainstream press or by MillerCoors. As usual, it seems like they’re focusing a lot on the packaging — ooh, it’s black — and other marketing and not as much on the beer itself. One account describes the packaging as “jet-black, angular bottles meant to ‘evoke a guy in a tapered, athletic-cut suit. '” Uh-huh, that’s just what I was thinking of when I looked at it. The beer is 6.9% a.b.v., closer to an IPA than the usual light lager, though humorously Business Insider claims Coors Light is 5.9% instead of its actual 4.2%. Then there’s trying to get bars and restaurants to serve it in a whiskey glass. Apparently, “[t]he rocks glass is intended to set Miller Fortune apart the same way the orange slice has made Blue Moon one of the company’s fastest-growing brews and its answer to the craft-beer juggernaut.” The idea is, of course, to make it seem more spirits-like, but it just seems gimmicky to me. It’s one thing to design a special glass to enhance the flavors but quite another to just pick a glass meant for something else in the hopes that people will make the association between the two. I don’t quite get the bourbon association, either. It wasn’t aged in a bourbon barrel, like many beers being brewed these days by smaller breweries, yet it’s referred to as a “bourbon-like lager.” The Bloomberg article says it has a “complex flavor hinting at bourbon” while Business Insider calls it a “bourbon-flavored beer.” The beer labels says it’s a “Spirited Golden Lager” while RateBeer categorizes it as an Amber/Vienna Lager while Beer Advocate has it listed as an American Amber/Red Lager. 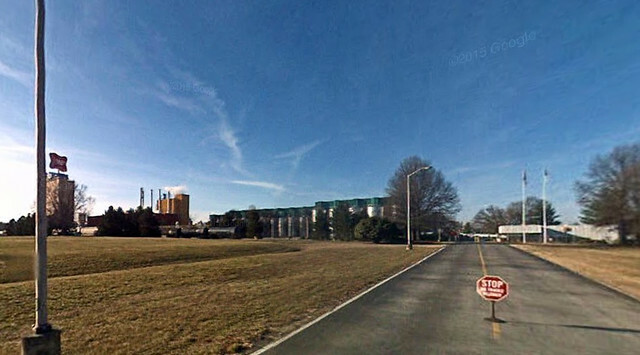 But apart from MillerCoors trying to draw an association to bourbon and spirits drinkers, and claiming bourbon makers as their inspiration, I don’t know where any bourbon flavors would be coming from. Bloomberg brings up that they used some Cascade hops, saying it’s “a golden lager brewed in part with Cascade hops to give it a citrusy bite and caramel malt to impart an amber hue” and that “the flavor is moderately bitter with hints of sweetness, resting somewhere between a craft beer and a light lager.” So nothing about bourbon or being bourbon-flavored or bourbon-like, as far as I can tell. And the few people who’ve reviewed it on Beer Advocate and RateBeer likewise make no mention of any bourbon character. 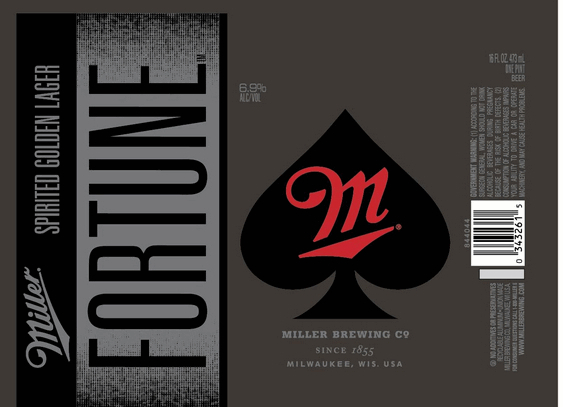 But perhaps the most hilarious statement was made by Time magazine, who states that “Miller Fortune is brewed with Cascade hops to give it its bourbon-like flavor.” That must be why Anchor Liberty and Sierra Nevada Pale Ale have all that spirited bourbon character. I can’t wait to see how this one plays out. These always give me a chuckle. Whenever sales are flagging, one of the strategies employed by the bigger beer companies to reverse their fortunes is to change the packaging. Earlier this month, Miller sent out a press release, “Celebrate Miller Time with the Light Beer that Started It All.” They’re bringing back the original can design for Miller Lite, their unnatural abomination of a diet beer. My thoughts on low-calorie light beer are very opinionated, and none too positive, for example read Disrespecting Low-Calorie Light Beer and No Defense For Light Beer. The Original Lite Can features the familiar images of hops, barley and the words “a fine pilsner beer,” which reinforce the high quality ingredients and the unique brewing process that consumers have enjoyed for generations. 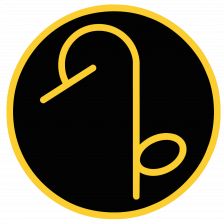 In addition to becoming available to consumers in January, the Original Lite Can will appear in the upcoming Paramount Pictures’ release, Anchorman 2: The Legend Continues. The news team can be seen enjoying the Original Lite in the film, which will be released nationwide December 18. The limited-edition Original Lite Can will be available nationwide January through March in 12-, 16- and 24-ounce sizes. All well and good, but sheesh, why not just make a beer that people would want to drink, not one you have to market and advertise to death to create demand? Can people really be nostalgic for that can design? But that seems to be used a marketing tactic every few years, to change the package, the label or something along those lines. It’s indicative of a culture that’s long ago abandoned the importance of what’s inside the package and instead has been concentrating on the external. Sure, how the packaging looks is important, but it’s not more important than the beer, and for big beer companies it surely seems like marketing has trumped any other concerns for many, many years. Calling it a “Pilsner beer,” of course, strains the notion of what a pilsner is. “It’s absolutely true that U.S. beer drinkers have more choices than ever before, from spicy saisons to big imperial stouts to hoppy IPAs. It’s a wonderful development that brings energy and excitement to brewing. “But it’s also true that, faced with all those choices, American beer drinkers still overwhelmingly choose American light lagers over all others. 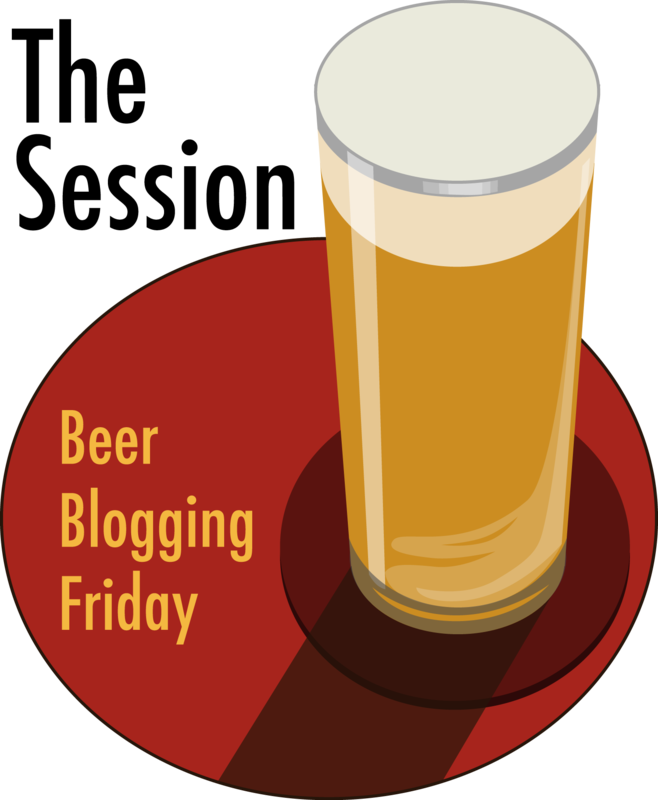 “That fact often draws the scorn and condescension of beer ‘aficionados,’ not to mention the news media. Not too long ago, the financial newswire Bloomberg News derided light lagers as ‘barley water’ in a story on our sales trends. To the point he makes about the difficulty of making light beer, while I generally admire the science of brewing that the big breweries have developed and the difficulty of consistently brewing light beers, where flaws are nearly impossible to hide, that admiration does not extend to the products themselves. No matter how difficult they are to make, that still doesn’t excuse their existence, or make them a beer that I’d ever want to drink. To me, they are still an abomination, a science experiment gone awry. There’s no reason to sacrifice flavor to save a mere pittance of calories. Beer is not particularly fattening, especially if you drink it in moderation. The easiest way to reduce your caloric intake of beer is not to choose the latest scientifically engineered slightly lower-calorie beer, but to simply drink less bottles, cans or pints. Drink less, but drink better is always a good rule of thumb. Except that light beers are not “well-bittered” and they’re not pilsners, American or otherwise. They may have been based upon pilsners once upon a time, but they have diverged so far from that purported origin that they bear little resemblance to pilsners from the Czech Republic, Germany or any other place on the planet. They have become, as even David Ryder notes, a separate category of beer all to themselves. A beer fitting that description, frankly, is not all that difficult to find. Of the Top 50 Czech Pilsners on Beer Advocate, 36 of them are made in the U.S. and for the Top 50 German Pilsners, 34 are American-made. Good American pilsners are everywhere if you know where to look. And quite frankly, the reason he may be having trouble finding one is that he admits he “will drink MillerCoors or Budweiser products, but only if more ambitious choices are not available, which is often the case.” But that’s never going to change if he just accepts what beers they have and fails to tell the bars he frequents that he would prefer “more ambitious choices.” If he keeps ordering whatever is available, there’s absolutely no incentive for the bar to stock “more ambitious choices.” He seems to wear not being a beer snob as a badge of honor, but he’s doing himself and craft beer no favors by settling for whatever beers a bar decides to carry. Asking, or even insisting, on the beers you want is not being a snob, but is simply the only way to effect change and get the beers you actually want. Can you imagine being hungry for a steak and going to a restaurant, only to find out the only kind they have is Salisbury steak, and just settling for that, especially when there are other steak restaurants right around the corner? Vote for what you want with your wallet. Buy what you actually want, don’t just settle for whatever’s put in front of you. Seriously, who lives that way? But I think his way of thinking is pretty common, and is a big reason why light beer and other less-flavorful beers continue to be so popular. It’s simply that people who are not as fanatical as the average beer geek just don’t care enough to bother. There’s enough to worry about in people’s everyday lives, and we all decide what things we’ll make a priority and what we’ll just accept and not fuss too much about. And in that, the big breweries have the advantage. Think about colas, for example. There are people who really care that they drink only Coke or Pepsi. They’re fanatical about it. My grandmother was a Pepsi person. She hated Coke. But there are countless people who just don’t care. You see it at restaurants all the time. “Can I have a Coke, please.” The waitress replies, “we only have Pepsi.” And how often have you heard this? “That’s fine. No problem. Whatever.” And so it is with beer. You’re out for lunch or dinner and want a beer. More often than not, most people will just accept whatever beer is offered. It’s the reason that distribution and availability are so crucial to success. Simply have your beer available at more places than your competitor and you’ll most likely do better. Because most people in such a situation will just capitulate and order from what’s available rather than make a fuss or ask for something else or, perish the thought, not patronize that bar or restaurant. 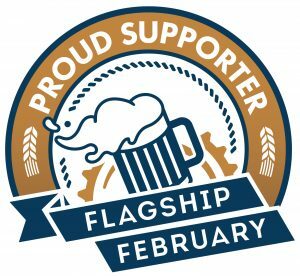 So simply having deep distribution and being available everywhere will sustain light beer for years to come, so long as people don’t speak up. Because until Gould and a majority of people do care enough to insist on what they put in their bodies, the big companies that can afford national advertising budgets and can make their products available everywhere, those light beer makers will continue to flourish, and little will change in the world of beer. But let’s get back to Ryder, and some of his arguments in defense of light beer. Here’s just a few of the earlier statements Ryder makes that I disagree with. Widely admired by whom, exactly? Sales do not automatically equal admiration. The reasons any product is popular is not that it’s the best one available. Often it’s the cheapest, most available or has the highest advertising budget. Wonder bread my be the best-selling bread in America, but does anyone actually think it’s the best bread money can buy? People drink light beer because they’re bombarded with marketing and advertising, have been tricked into thinking they’re not sacrificing flavor and/or don’t really think (or care) about their choices. And as for its “authenticity,” I don’t even know what he’s talking about, do you? They’re not “pilsners” by any stretch of the imagination and they may be among the groups of beers described as lagers, but they exist in their own world, as a separate category. That a new category was created so that similar beers could be tasted and judged with other similar beers, does not make them authentic, which is defined as “not false or copied; genuine; real.” Given that “light beers” are lighter, less flavorful beers copied from true pilsners and rendered into a false version of them, I’d argue they’re the very opposite of authentic. Why yes, yes they are. But that fact has absolutely nothing to do with authenticity or any positive attribute. 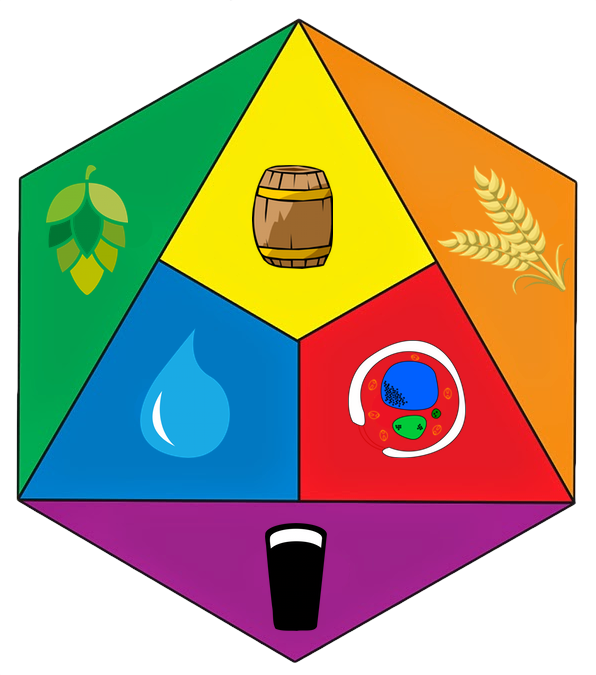 The BJCP style guidelines are organized roughly by lagers, ales and hybrids, from lightest (and sometimes) weakest to darkest or stronger. 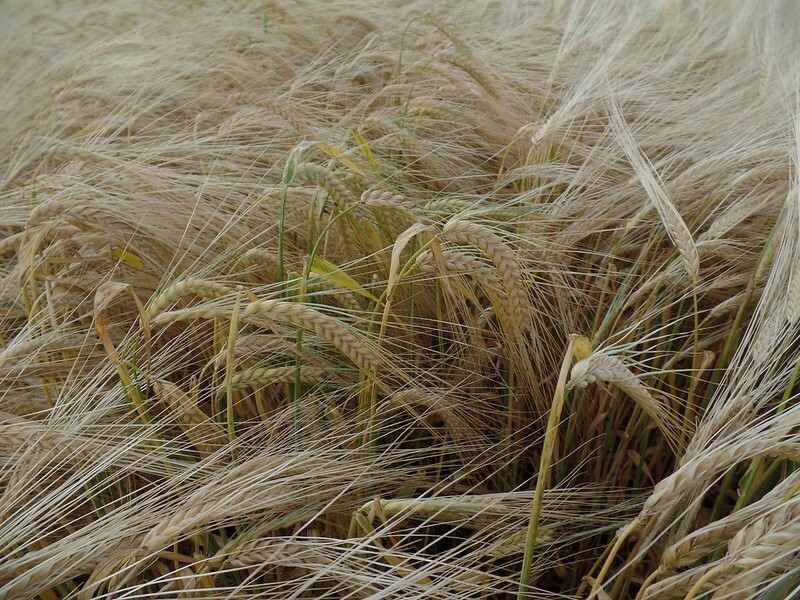 Light lagers, being the lightest in color and weakest in terms of flavor are listed first. It is not because they are the most authentic or any other reason that anyone might consider because they are somehow more favored or the best. And, I suspect, Mr. Ryder must know that their position in the list is utterly meaningless such that trying to defend light beer using this argument is completely disingenuous and intentionally misleading. Yes, that may be true but it hardly proves that this is because light beer is somehow a superior product. As I argued above, marketing, advertising and manipulating consumers over decades is responsible for light beer’s popularity. It’s certainly not its taste or any actual health benefits over other beers. The true reason that the big breweries have focused on low-calorie beers has more to do with business, and the bottom line, than health or any altruistic reasons. In fact, the earliest diet beers had a very difficult time finding a market. Men, by far the largest gender drinking beer when they were introduced, had to be convinced over a long period of time that they should drink light beer. And let’s not forget that low-calorie beers use less ingredients than their more flavorful counterparts, but yet are sold for the same prince point. You don’t even have to be very cynical to realize that they’re more profitable and to see why breweries might have put more effort into selling them. The first low-calorie beer was created by Joe Owades, who, it must be said, had some very strong opinions about beer. 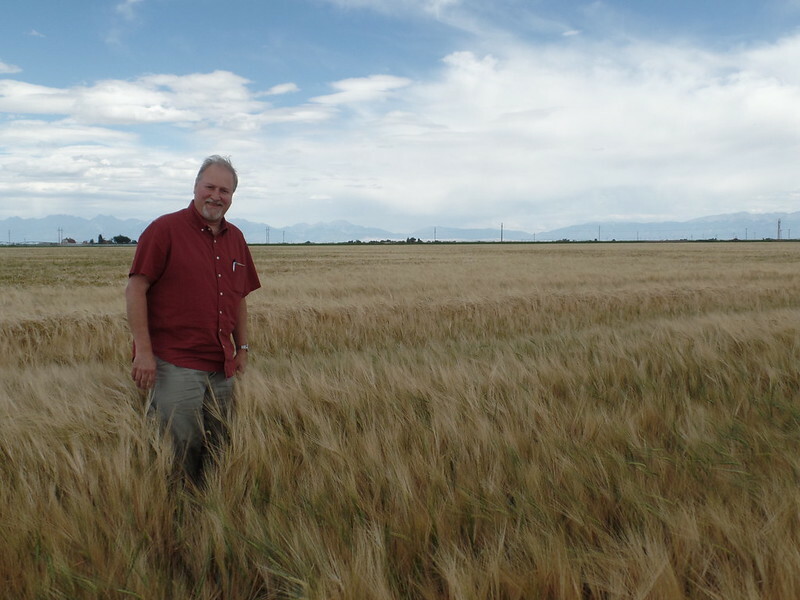 He once told me that all ale yeast was dead and inferior to lager yeast. 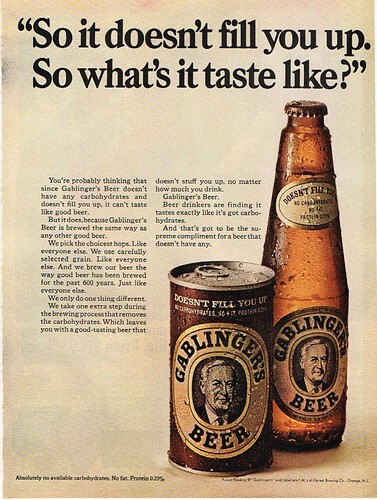 Around 1967, he created Gablinger’s diet beer, the first light beer, while working for Rheingold. It flopped. Big time. Not everybody agrees on what happened next. 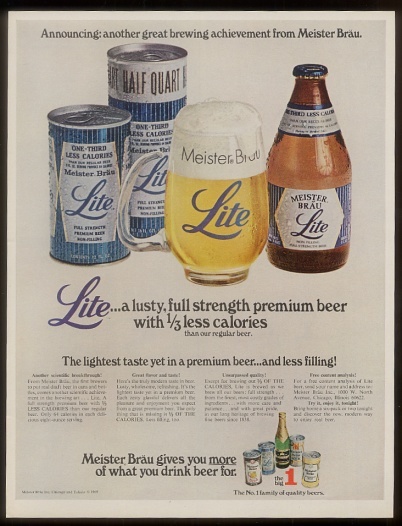 Some accounts credit Owades with sharing his recipe for light beer with Meister Brau of Chicago while others claim that the Peter Hand Brewing Company (which marketed Meister Brau) came up with it independently on their own. However it happened, Meister Brau Lite proved somewhat more successful than Gablinger’s, primarily due to its superior marketing. 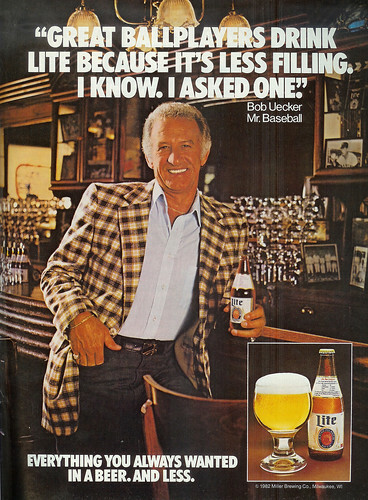 Miller Brewing later acquired Meister Brau, and in 1975 debuted Miller Lite, complete with the distinctive, trademark-able spelling. But it took marketing the new low-calorie beer in a new way so that it removed the “diet” stigma to make it work. They had to trick people into drinking it. Miller’s famously successful “tastes great, less filling” campaign was the primary reason for the category’s success. But it was hardly overnight. 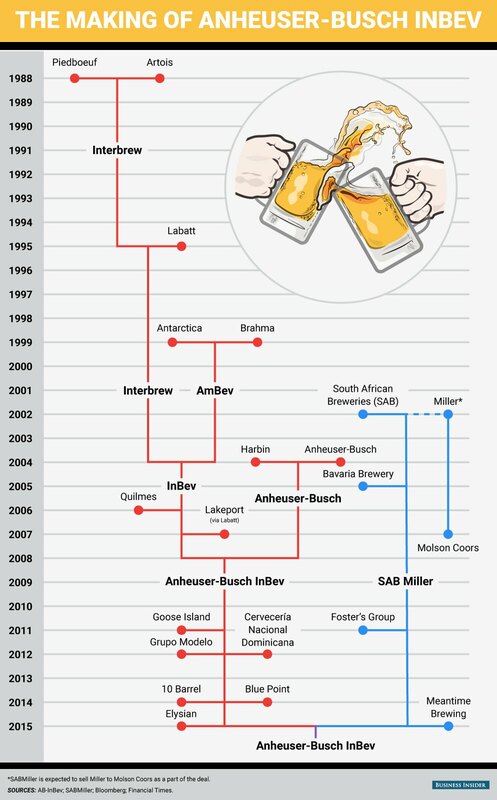 It took fifteen years — from 1975 to 1990 — for Miller Lite to reach 10% of the market. Over that time, the other big brewers (loathe to miss out on any market share) introduced their own versions, such as Coors Light and Bud Light, so that whole segment of low-calorie beer was nearly 30% of the beer market by 1990. Today, seven of the top ten big brands are light beers. Despite its recent dip in sales, it remains a $50 billion segment of the business and still hovers close to half of all beer sold in the United States. That fact, I find to be incredibly sad, frankly. What a great triumph of marketing over common sense and actual taste. 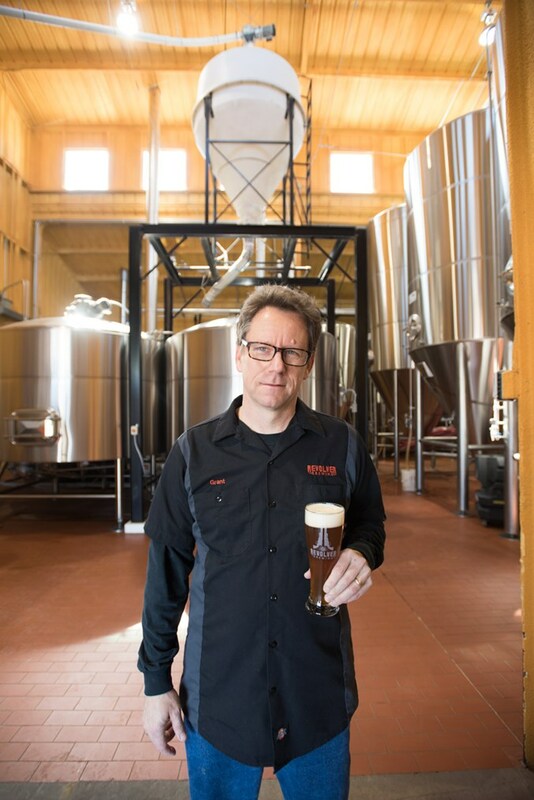 Earlier this year, Ryder gave a talk on beer in Milwaukee, entitled the Science of Beer, where he extolled the recent changes in people’s attitudes toward beer. 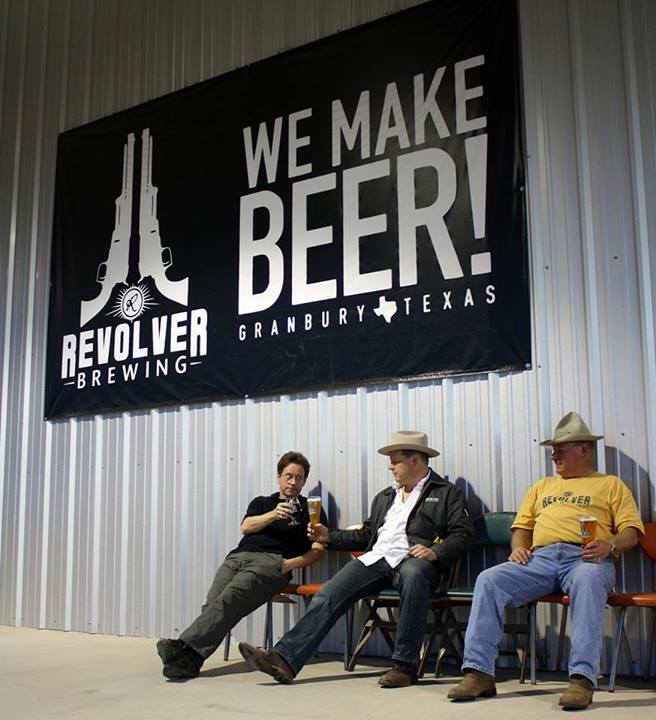 “‘People are rediscovering beer,’ he said. ‘They’re gaining a brand new appreciation of what beer is and what beer could be. 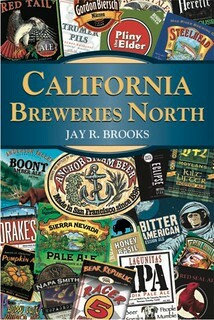 '” And to my way of thinking, what beer is and what beer can be is just so much more than low-calorie light beer. I find that there’s just no defense for light beer.